Men’s basketball knocked off No. 6 seed Iowa State in the first round of the NCAA Tournament on Friday night. Kaleb Wesson led the Buckeyes with 21 points and 12 rebounds. Keyshawn Woods tied his season-high with 19 points. 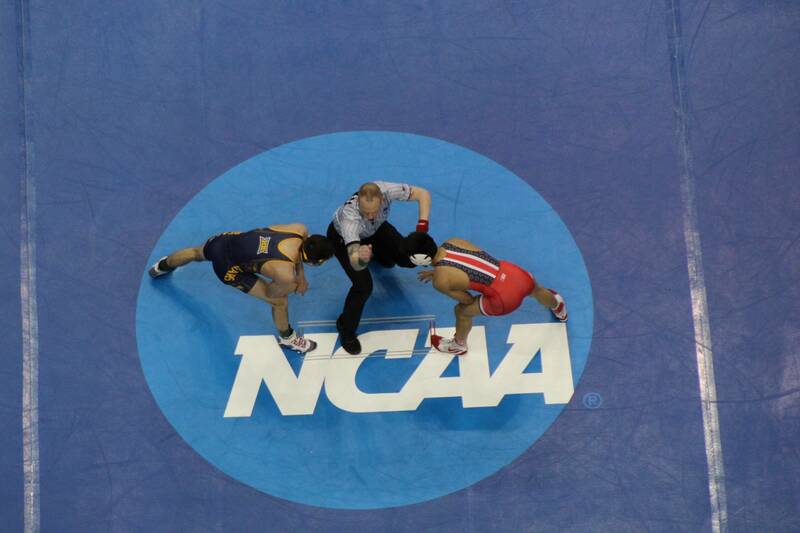 Wrestling took runner-up honors at the NCAA Championships over the weekend. Myles Martin earned his fourth All-American honor (becoming the seventh Buckeye to earn four AA honors). Micah Jordan, Joey McKenna and Kollin Moore each earned their third All-American distinction, while Luke Pletcher became a two-time All-American. 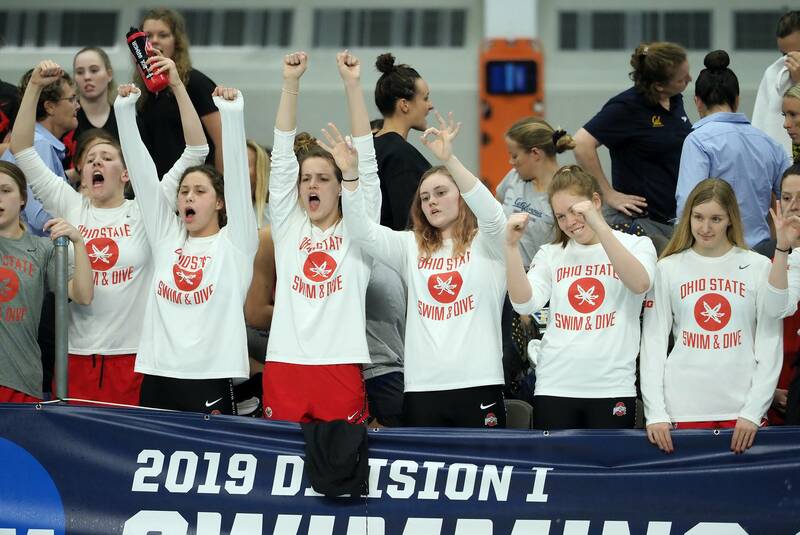 The women’s swimming and diving team finished it’s season with a runner-up finish in the 1650 Free while Molly Kowal and Kathrin Demler broke two school records. Baseball has made the most of being home, notching a win over Northern Kentucky on Tuesday before taking three straight against Hawaii. Softball opened its home slate and conference play in triumphant fashion over the weekend with a three-game sweep of Indiana. 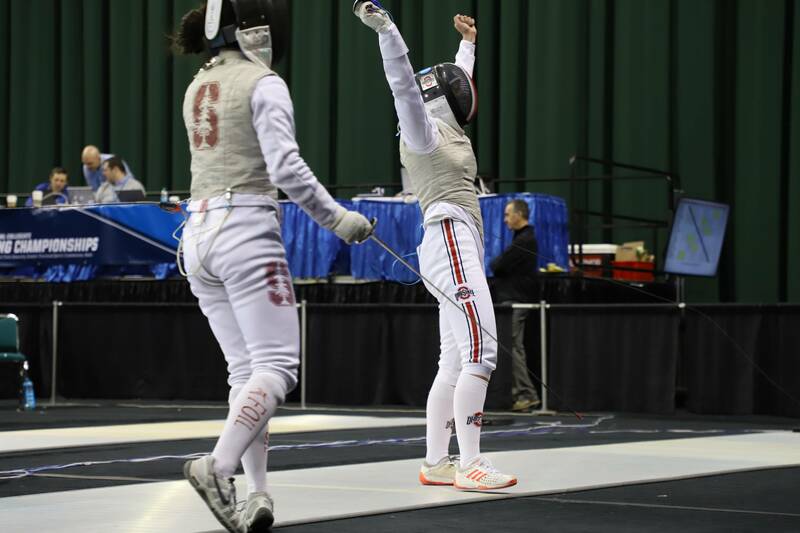 Oliver Shindler earned gold in the men’s epee while five Buckeyes earned All-American honors at the NCAA Championships over the weekend. Men’s volleyball recorded its third sweep of the season with a win over Quincy on Saturday in St. John Arena. Men’s tennis finished a perfect weekend with wins over Michigan State at home and on the road at Michigan. Women’s tennis kept things rolling with wins at Nebraska and at home against Iowa to improve to 3-0 in conference play. Men’s lacrosse rallied from a five-goal deficit to defeat Notre Dame 11-10 in overtime on Saturday in South Bend. Women’s lacrosse rattled off 16 goals as the Buckeyes defeated San Diego State on Sunday in Columbus. Softball at Kentucky – Lexington, Ky. – 5 p.m. Baseball vs Toledo – Columbus, Ohio – 6:35 p.m.
Men’s Soccer at Northern Kentucky – Highland Heights, Ky. – 8:30 p.m. Baseball at Rutgers – Piscataway, N.J. – 2 p.m.
Men’s Ice Hockey vs Denver – Fargo, N.D. – 4 p.m.
Women’s Tennis at Michigan State – East Lansing, Mich. – 5 p.m.
Softball at Maryland – College Park, Md. – 6 p.m.
Men’s Tennis vs Wisconsin – Columbus, Ohio – 6 p.m.
Men’s Volleyball at Loyola Chicago – Chicago, Ill. – 8 p.m. Baseball at Rutgers – Piscataway, N.J. – 1 p.m.
Women’s Volleyball vs Ohio – Columbus, Ohio – 1 p.m.
Softball at Maryland – College Park, Md. – 2 p.m.
Women’s Soccer vs Grand Valley State – Columbus, Ohio – 4 p.m.
Men’s Volleyball vs Lewis – Romeoville, Ill. – 8 p.m.
Softball at Maryland – College Park, Md. – 1 p.m.
Women’s Tennis at Michigan – Ann Arbor, Mich. – 1 p.m.